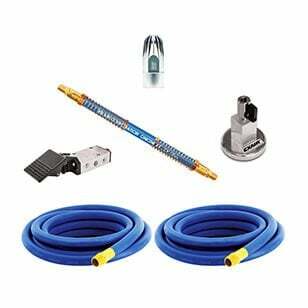 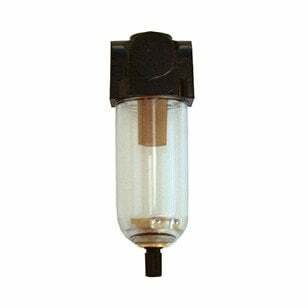 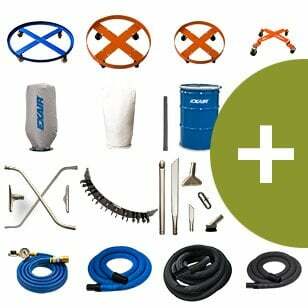 Many accessories are available for E-Vacs including suction cups, fittings and vacuum tube. 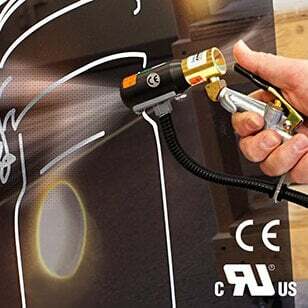 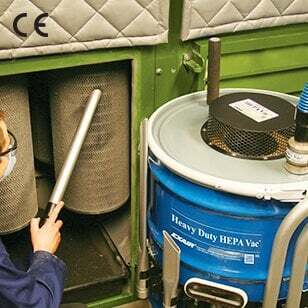 When using E-Vac vacuum generators, it is important to use a source of clean, dry compressed air that will keep them operating at their peak performance. 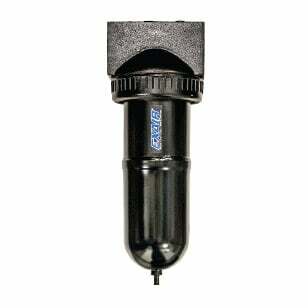 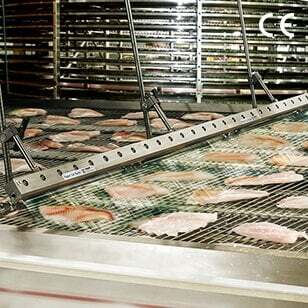 Automatic Drain Filter Separators keep compressed air free of contaminants and moisture. 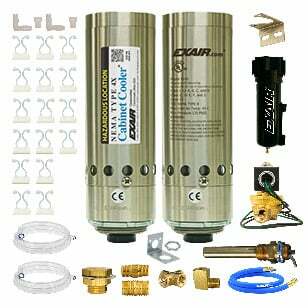 Oil removal filters that remove oil particulate that is common to many compressed air systems are also shown. 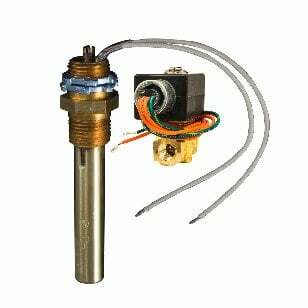 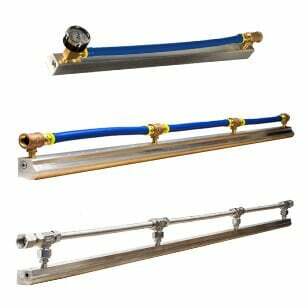 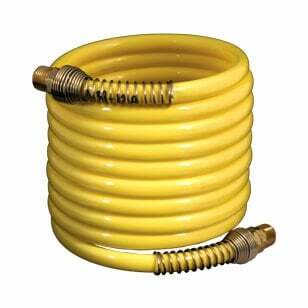 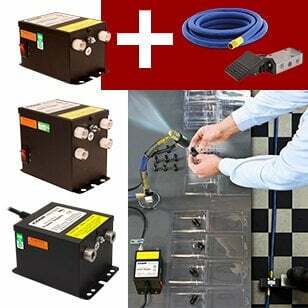 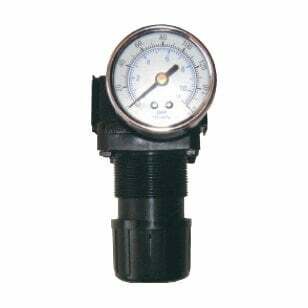 Pressure regulators, shutoff valves, compressed air hose, fittings, and solenoid valves (to electrically turn the compressed air on and off) are also available. 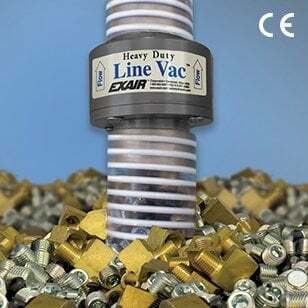 Vacuum Cups - EXAIR offers vacuum cups in a wide variety of sizes and shapes to meet the needs of your application. 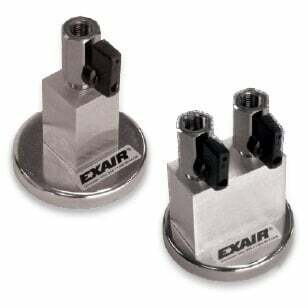 EXAIR's vacuum cups are made of vinyl that is ideal for geneeral purpose applications and provides excellent resistance to wear. 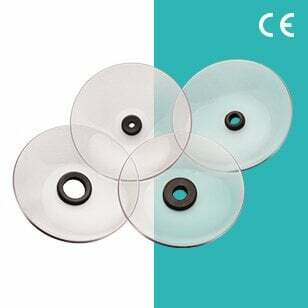 The Durometer rating (used to indicate the flixibility and stiffness of the cup) is A50. 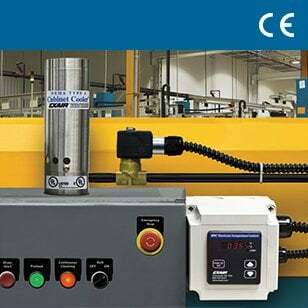 The operating temperature is 32°F (0°C) to 125°F (51.7°C). 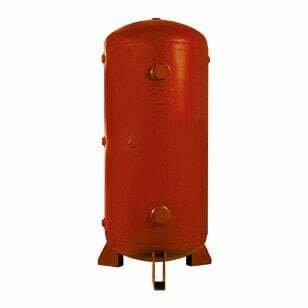 Mufflers - Optional silencing mufflers are available that permit maximum exhaust of the E-Vac unit so cycle speed is not reduced. 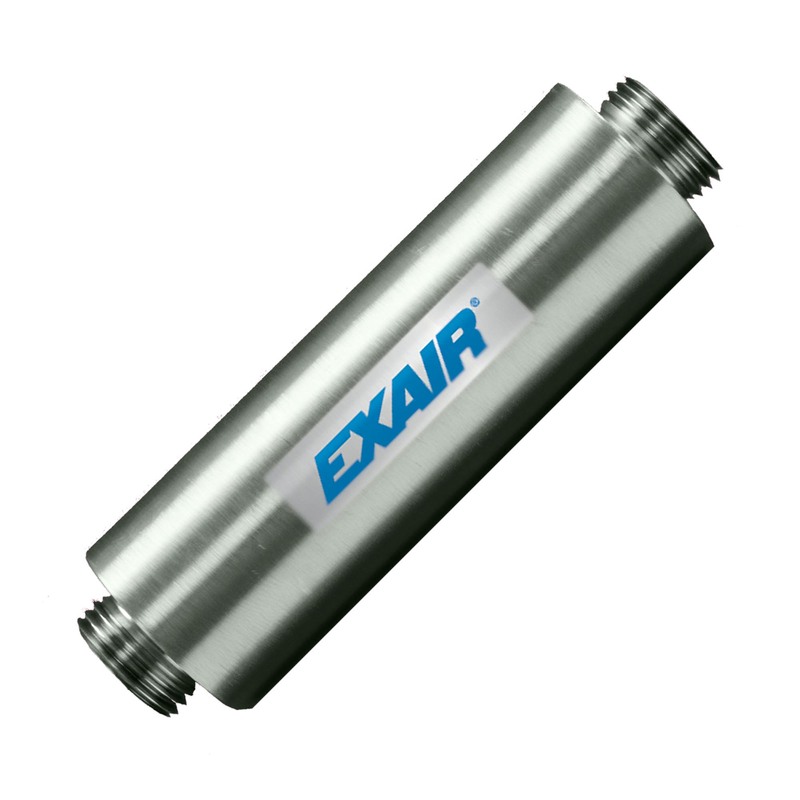 The Standard Muffler (for use with In-Line E-Vacs only) has a closed end and is suitable for applications that are free of dust and debris. 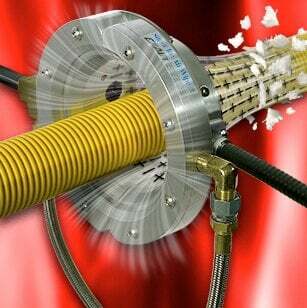 The Straight Through Muffler is recommended where particulate is present since it will not accumulate debris that can erode performance. 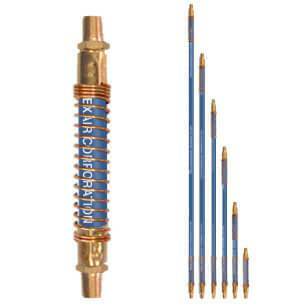 Straight Through Mufflers offer the best sound level reduction (up to 26 dBA). 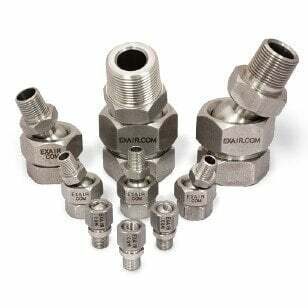 Fittings and Tubing - The vacuum port of the E-Vac has an NPT thread (a vacuum cup can be threaded directly into it). 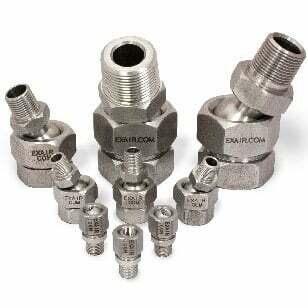 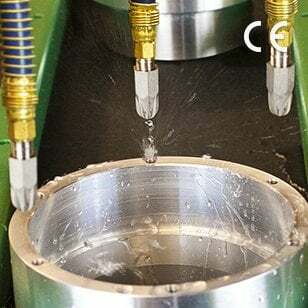 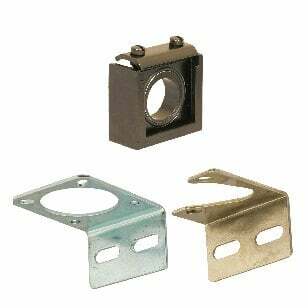 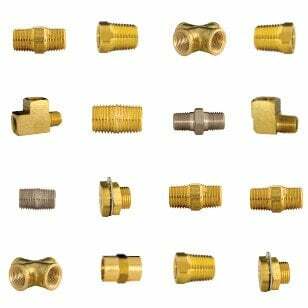 For vacuum cups that are remotely located, push-in connector fittings (most have global threads for use with NPT and BSP) can be installed on the E-Vac and the vacuum cup. 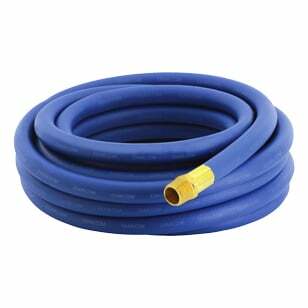 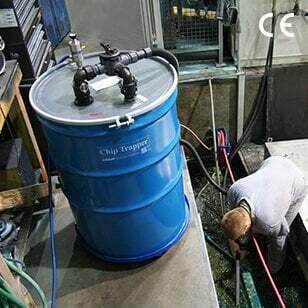 Polyurethane vacuum tubing is available (10', 20', 30', 40' and 50' lengths) to connect them. 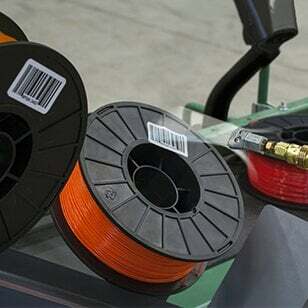 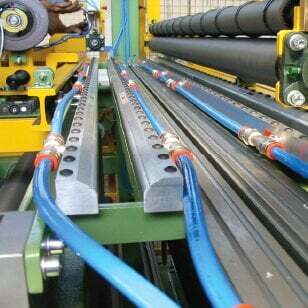 For best performance, the length of the tubing should be minimized to achieve the best attach and release times. 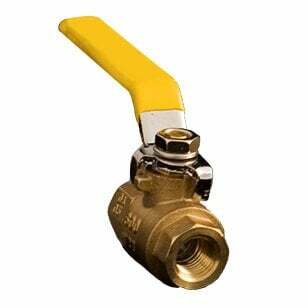 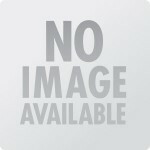 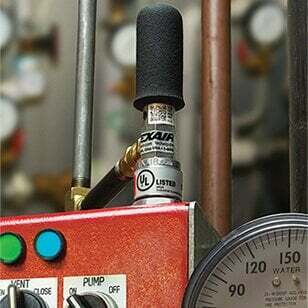 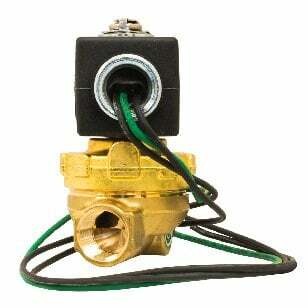 Check Valve - A vacuum check valve is available to hold the vacuum in case of compressed air loss. 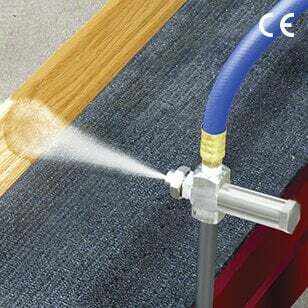 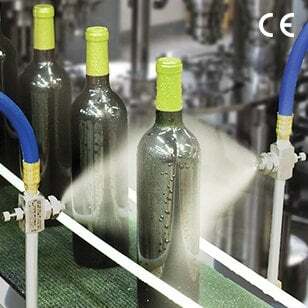 It is designed for high flow so it doesn’t restrict airflow or slow the vacuum operation. 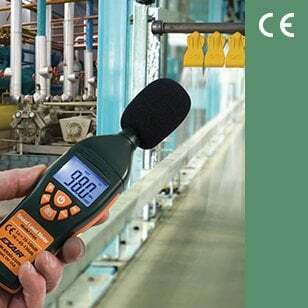 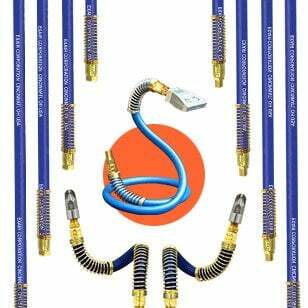 Maximum vacuum can still be achieved without affecting the performance. 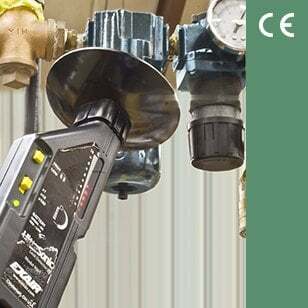 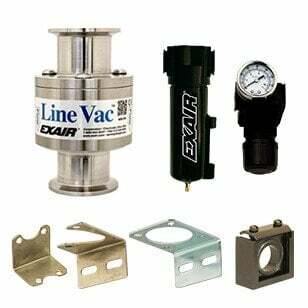 E-Vac vacuum generators that are used without a check valve will release the load if there is a significant drop in compressed air pressure or the supply of compressed air is lost. 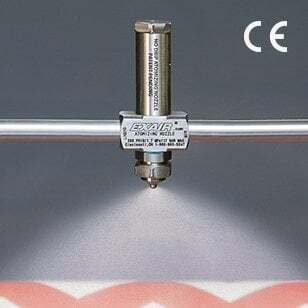 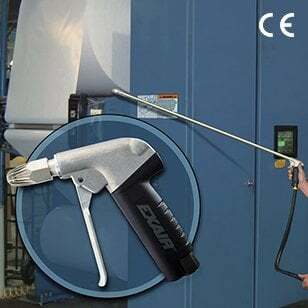 Optional silencing mufflers are available that permit maximum exhaust of the E-Vac unit so cycle speed is not reduced. 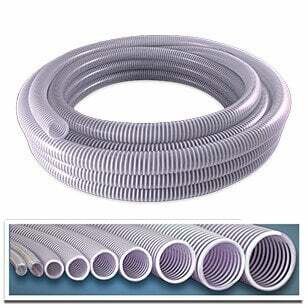 The Standard Muffler (for use with In-Line E-Vacs only) has a closed end and is suitable for applications that are free of dust and debris. 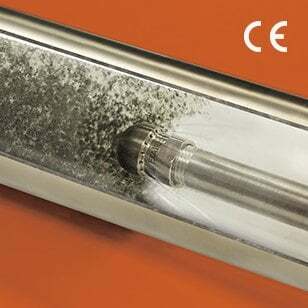 The Straight Through Muffler is recommended where particulates are present since it will not accumulate debris that can erode performance. 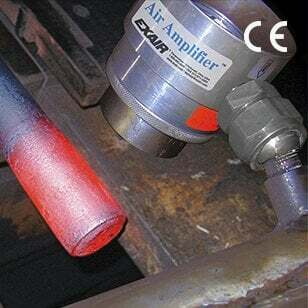 Straight Through Mufflers offer the best sound level reduction (up to 26 dBA). 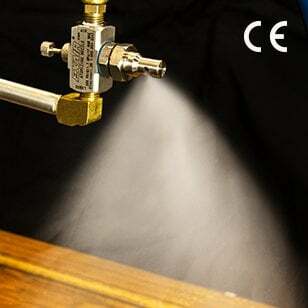 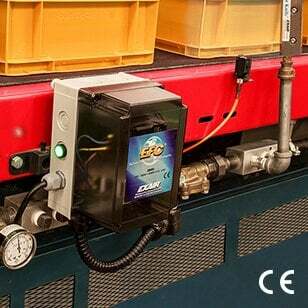 Energy and vacuum efficiency are not limited to the Adjustable E-Vac vacuum generators. 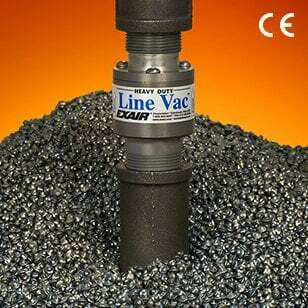 All E-Vac styles and models can offer significant improvements when looking to reduce the amount of compressed air used for a specific vacuum application. 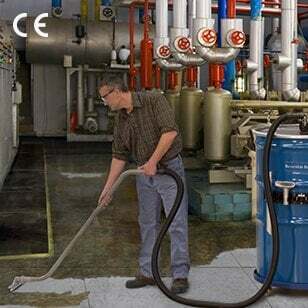 Once the appropriate amount of vacuum and flow for the application are determined, it is important to select the appropriate model that will deliver the best performance while using the least amount of compressed air that it takes to do the job. 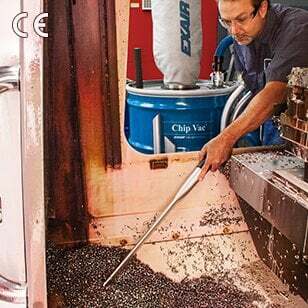 Many companies have a centralized vacuum system where the vacuum is generated at a location that is far away from the point of use. 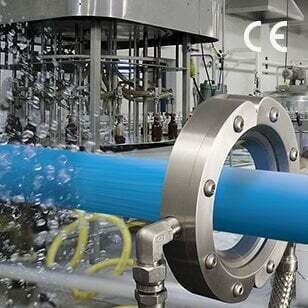 The long runs of piping through the plant produce line loss and it is often difficult to obtain that perfect balance of vacuum and flow required for the application. 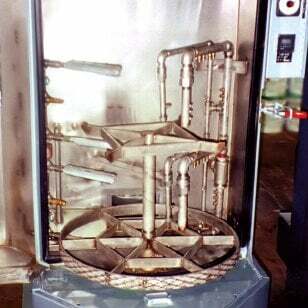 The compact In-line E-Vac vacuum generators eliminate this problem since they can be mounted at the point where the vacuum source is needed. 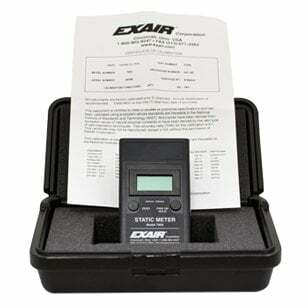 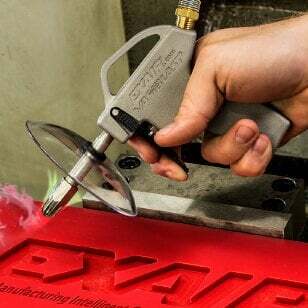 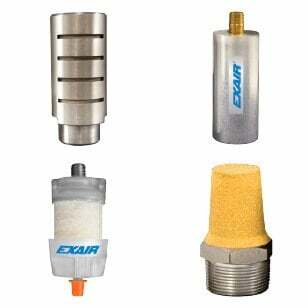 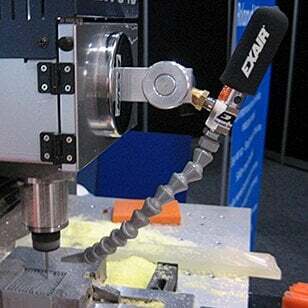 EXAIR’s Application Engineers can help you to select the E-Vac vacuum generator and vacuum cups that provide the right amount of lifting capability while minimizing the amount of compressed air usage. 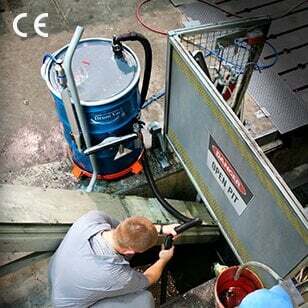 E-Vacs are used in many other “non-lifting” applications. 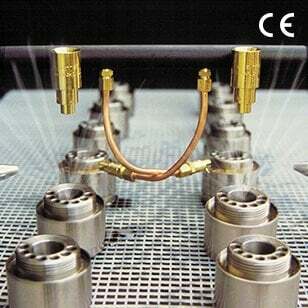 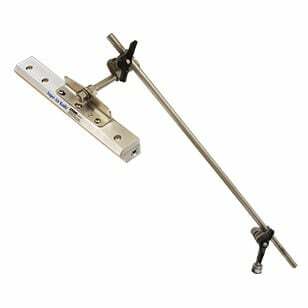 They are commonly used for vessel evacuation, clamping, chucking, and other work holding applications. 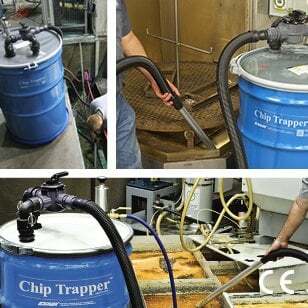 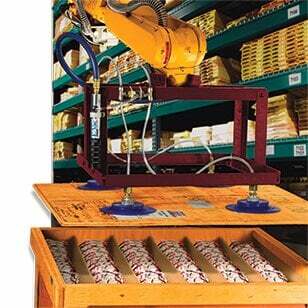 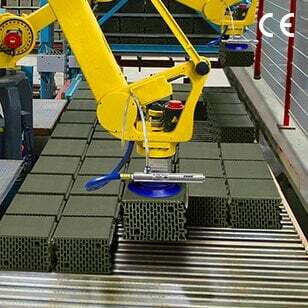 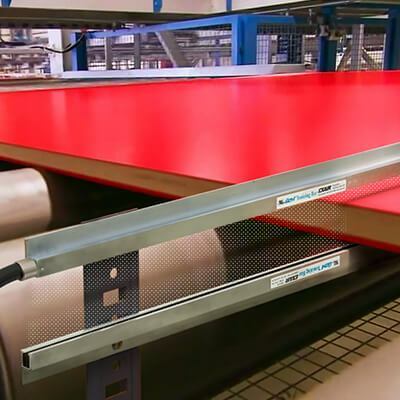 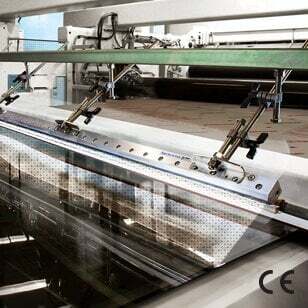 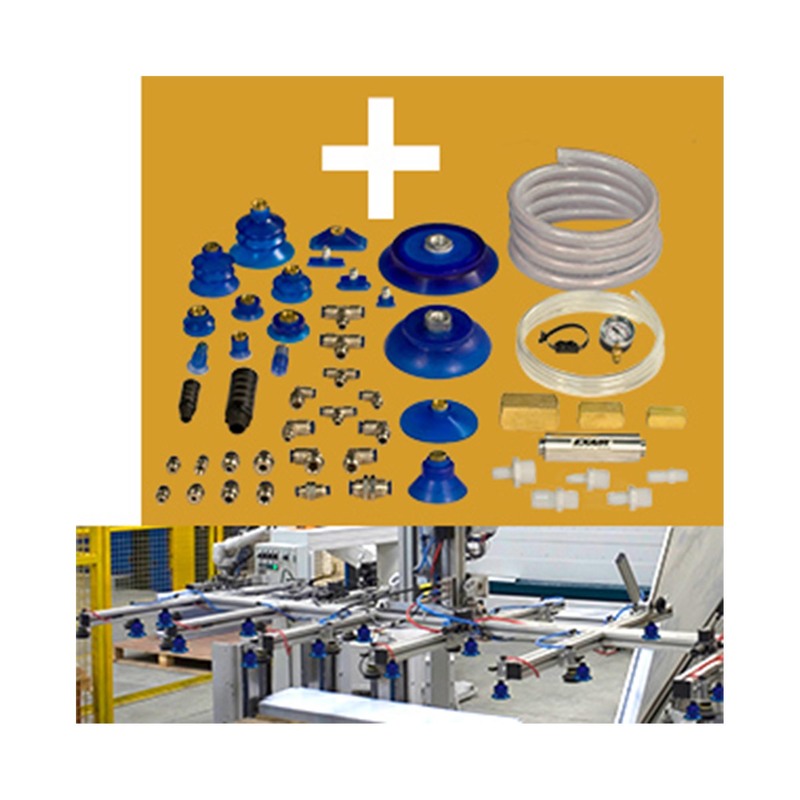 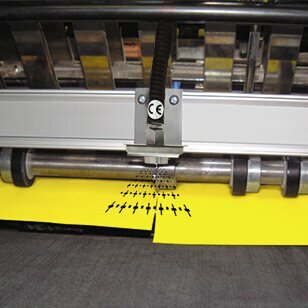 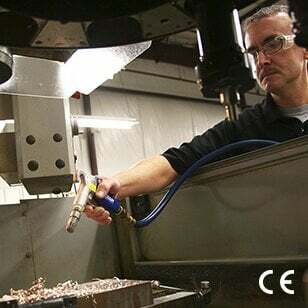 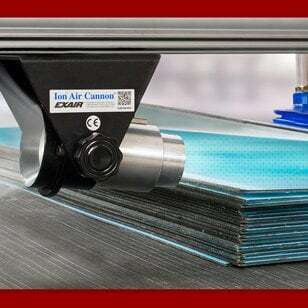 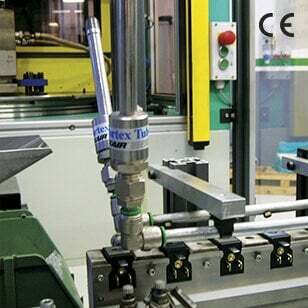 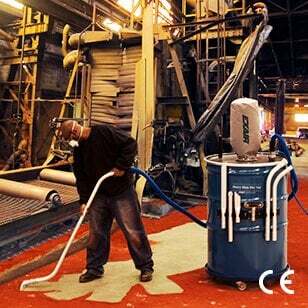 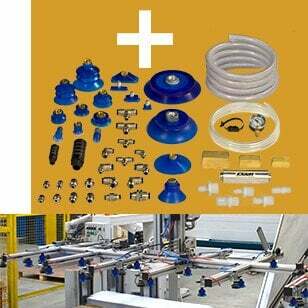 Many types of automated equipment use vacuum to evacuate, grip, hold, align and insert parts. 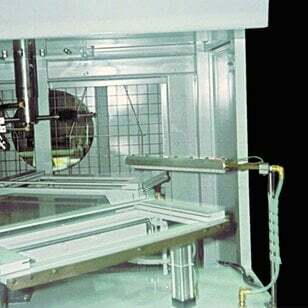 These vacuums can be used for surface mounting, vacuum packaging, bag opening, label placement, carton forming and container evacuation. 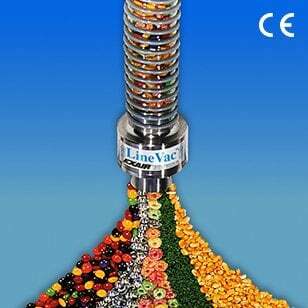 Another popular application is using the E-Vac for liquid sampling. 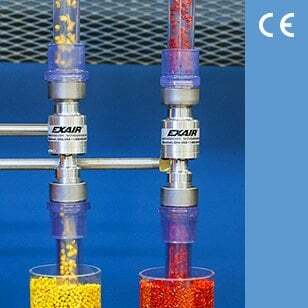 This process can easily be accomplished using an E-Vac vacuum generator attached to a liquid holding tube. 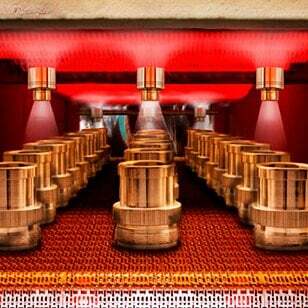 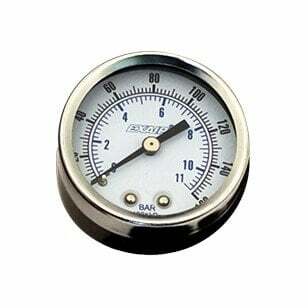 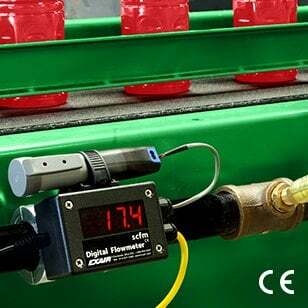 When the tube is dipped into the vat, tank or container, the compressed air is turned on so it draws a specific volume of liquid up into the tube. 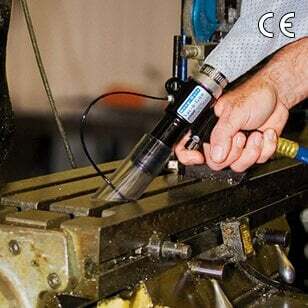 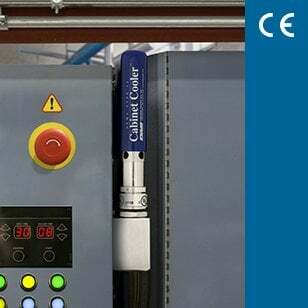 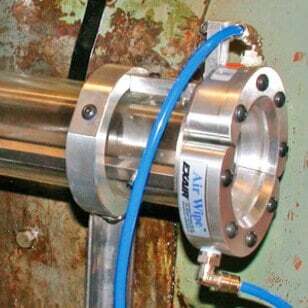 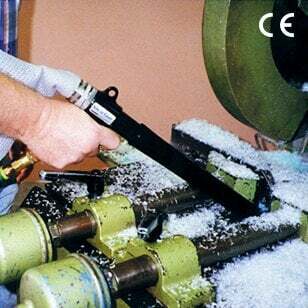 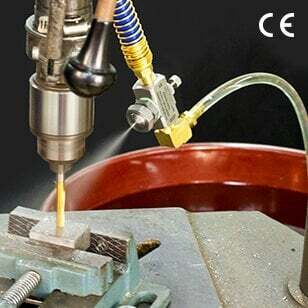 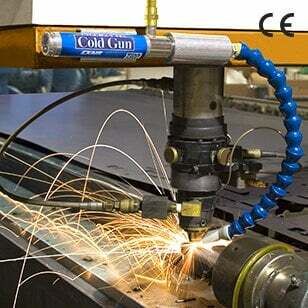 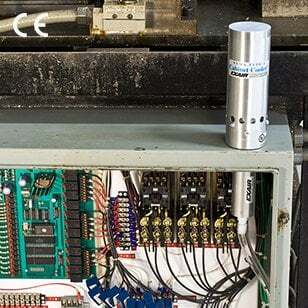 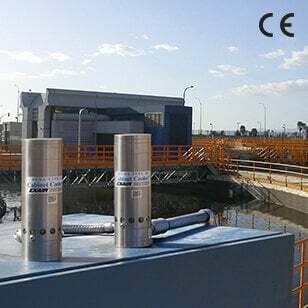 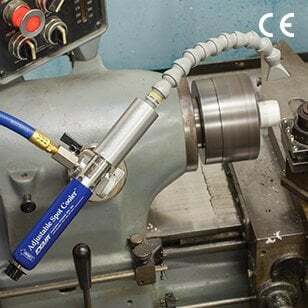 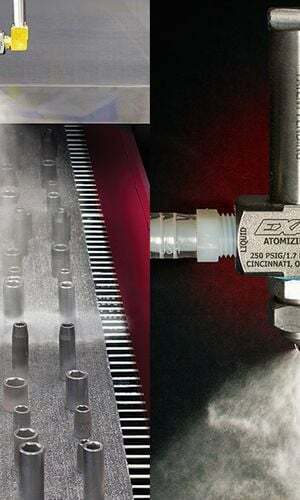 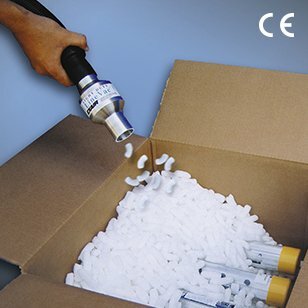 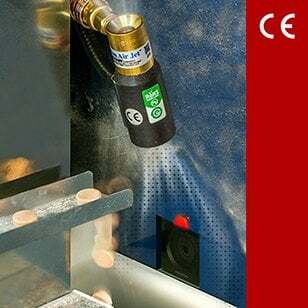 When the compressed air is turned off , the liquid fl ows from the tube and can be dispensed into a container or machine to be analyzed. 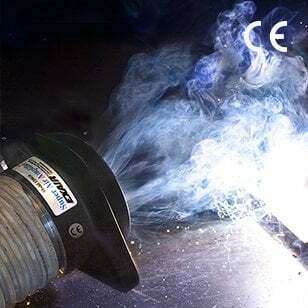 The Straight-through muffler produces the largest noise reduction.